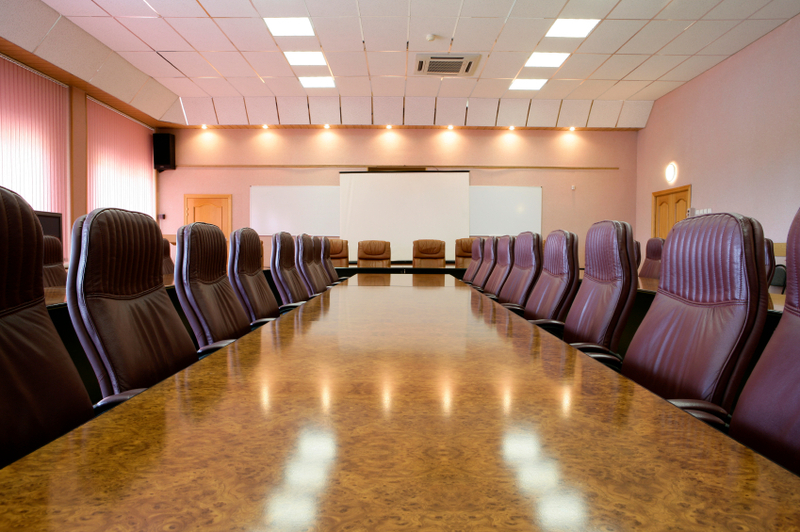 The economic crisis, increased rules and regulations, and heightened scrutiny of boards’ roles have corporate directors feeling pressure to be more effective in the boardroom. PwC’s 2011 Annual Corporate Director Survey (the Survey) of 834 corporate directors offers insight into the biggest corporate governance issues facing directors today. Because 67% of respondents represent companies with more than $1 billion in annual revenue, the Survey illustrates the current boardroom thinking of many of the largest companies in the world. The corporate governance landscape has changed over the past few years, and as it continues to evolve, directors are working to adapt. Their responses to the Survey indicate that executive compensation, risk management, strategy and succession planning are key areas of future focus. They are also concerned about information technology security and fraud. thanks to the Dodd-Frank Act and the Securities and Exchange Commission’s say on pay rule. Nearly all companies passed their say on pay votes, but directors are still paying attention to shareholder concerns about executive compensation — 72% said they would reconsider executive compensation, even if shareholders voted in favour of their company’s compensation plan. Directors are trying to be more open about executive pay, as well. Nearly half said they changed their Compensation Discussion and Analysis (CD&A) to be more “plain English” so shareholders could better understand the details of the compensation plans. Fewer directors said boards are having trouble controlling CEO compensation — 44% this year compared to 58% in 2010. Directors also seem to recognize the importance of transparency in general, as they increased communications with employees, major shareholders, analysts, proxy advisory firms, and the media over the past 12 months. Risk management was an area of particular concern for the directors in the Survey. While more than 83% of directors said there is a clear allocation of responsibility for overseeing major risks on the board, only 19% said their board is very effective at monitoring a risk management plan that mitigates corporate exposure. Even fewer (11%) said their board is very effective at overseeing the company’s strategic use of technology and related risks. More than 40% of directors said it is difficult to add directors with risk management expertise, while more than 52% said the same about adding directors with technology expertise. Fifty-seven percent of directors want to increase their focus on risk management issues in the coming year, and nearly 38% want to devote more time to information technology issues. Board members themselves are becoming tech savvy. More than 36% said they are using tablets in the boardroom, and 38% said they wished their boards would use them. Strategy and succession planning are issues directors want to spend more time discussing in the boardroom — 59% want to focus on strategy this year, the same as 2010. The frequency of strategy discussions is also notable. More than half of directors are talking about their company’s strategic plan every six months, while 44% discuss it at least once a year. Regarding CEO succession, more than one-third (36%) of directors said they are not satisfied with their company’s CEO succession plan. And 59% of directors want to spend more time on the issue this year, up from 50% a year ago. Diversity continues to be a challenge for boards, as more than half of directors say it’s difficult to add gender diversity. More than 65% say it’s difficult to add racial diversity. In summary, directors are responding to stakeholder concerns, but they know they have more work to do. They recognize the continued need to adapt as the governance landscape evolves in order to enhance their effectiveness as overseers. Don Keller is a partner in PwC’s Center for Board Governance which provides thought leadership, points of view on contemporary governance issues, and training to boards of directors and the governance community.